VANCOUVER, Jan. 22, 2019 /CNW/ – Today, TD announced the appointment of Andrew Cribb as Senior Vice President and Regional Head of Pacific Region – British Columbia and Yukon – for Branch Banking. Cribb began his career at Capital One Canada where he was head of product and marketing strategy and held various roles with increasingly more responsibility over 12 years in both the United Kingdom and Canada. 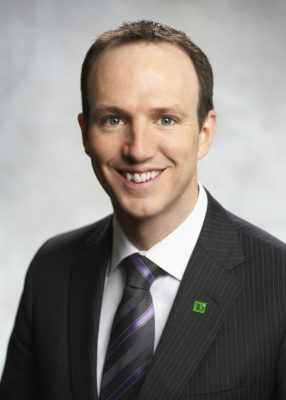 Most recently at TD, he was Vice President, North American Phone Channel. In this role, Cribb is looking forward to continuing TD’s community commitment with numerous organizations and events like the TD Vancouver International Jazz Festival and the Vancouver Pride Parade & Festival, as well a sponsorship of the Vancouver Canucks. Cribb succeeds Mauro Manzi, who served as Senior Vice President, Pacific Region, for over five years and decided to pursue other opportunities outside the organization.